Professor, Royal College of Music, London. 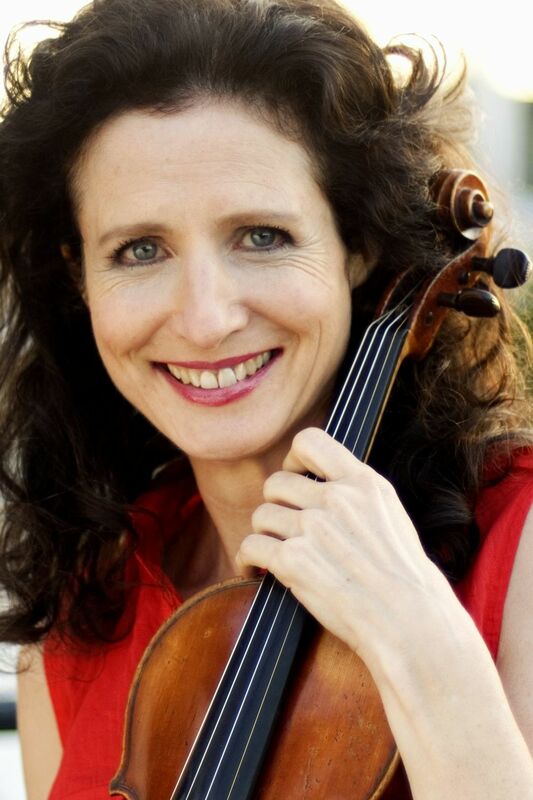 Madeleine Mitchell is one of Britain’s most outstanding violinists and has performed as a soloist and chamber musician in 50 countries in a wide repertoire. She is also sought after as a teacher, giving master classes worldwide and was a finalist in both the European Women of Achievement Awards and the Creative Briton Awards. Won the Tagore Gold Medal as a scholar at the Royal College of Music where she has been a Professor since 1994. As Fulbright/ITT Fellow she gained a master’s degree in New York, studying with DeLay, Weilerstein and Rosenberg at Eastman and Juilliard. Well known for her recitals and imaginative programming, broadcast frequently for tv and radio including Australia, the Far East, Europe and South Africa and frequently for the BBC. Represented Britain in the festival UKinNY with a recital at Lincoln Center and at Sydney Opera House, Seoul Center for the Arts, toured extensively for the British Council, played at many international festivals. Performs chamber music with many outstanding artists (including Norbert Brainin for his 80th birthday gala concert at London’s Wigmore Hall). Mitchell’s acclaimed discography, nominated for Grammy and BBC Music Awards includes works written for her by many well known composers, Violin Songs, several albums of British music and the widely recommended Messiaen Quartet for the End of Time with Joanna McGregor, which they performed at the BBC Proms. Performed concertos with major orchestras throughout Europe. Highlights include Stravinsky Violin Concerto with the Polish Radio Symphony in the ISCM Masters of C20 music in Warsaw, Vaughan Williams The Lark Ascending with the St Petersburg Philharmonic and as Artist-in-Residence in the Canberra International Music Festival, Czech Radio Symphony, Wurttemberg and Munich Chamber Orchestras, Royal Philharmonic and other London orchestras, Karlovy Vary Orchestra on tour, Orchestra de Bahia Brazil and for the BBC. Directs concertos from the violin such as Vivaldi and Bach. Many well known composers have written works for her including Sir James MacMillan and Michael Nyman CBE and Mitchell’s live recording of a concerto written for her, with the BBC National Orchestra of Wales is included on her recent acclaimed album Violin Muse. Mitchell devised a major collaboration with percussion – FiddleSticks supported by Arts Council England including recording Lou Harrison Violin Concerto with Percussion Orchestra, nominated for a Grammy. Directed “The Red Violin”, the first international festival of the violin across the arts held in Cardiff, Patron Lord Menuhin. Formerly Leader of the Bridge String Quartet she is Director of the London Chamber Ensemble with a new Naxos Album Release 2019 - Grace Williams (1906-77) Chamber Music - all premiere recordings.